"Andrew Kirschner is a mainstay in the US Mid West noise/experimental scene. Running the Mistake By The Lake label issuing great sounds from his local cohorts. This release demonstrates two sides to Kirschner. 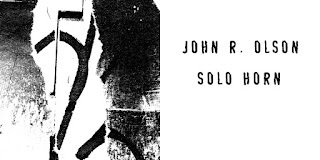 the A side is based on an industrial synth/tape loop interspersed with junk noise. The B side is stripped and fried string scrape and bleak rhythm hypnosis." 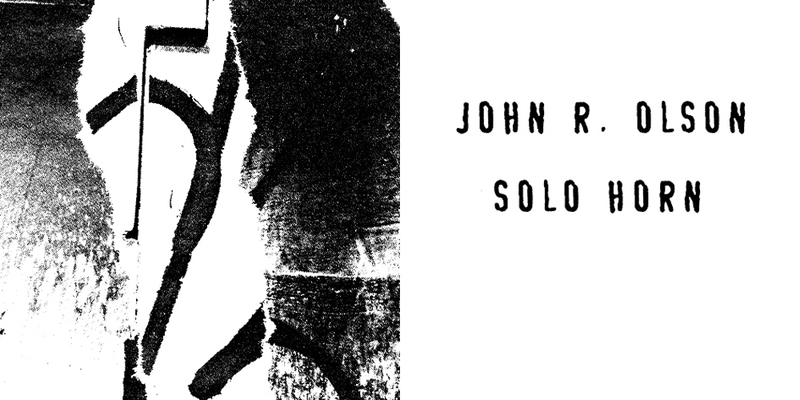 "Solo horn from John R. Olson, one take raw recordings travelling the plane from Debussy through the ancient Middle East touching on the past and present free masters and straight to the core of his own dimension."